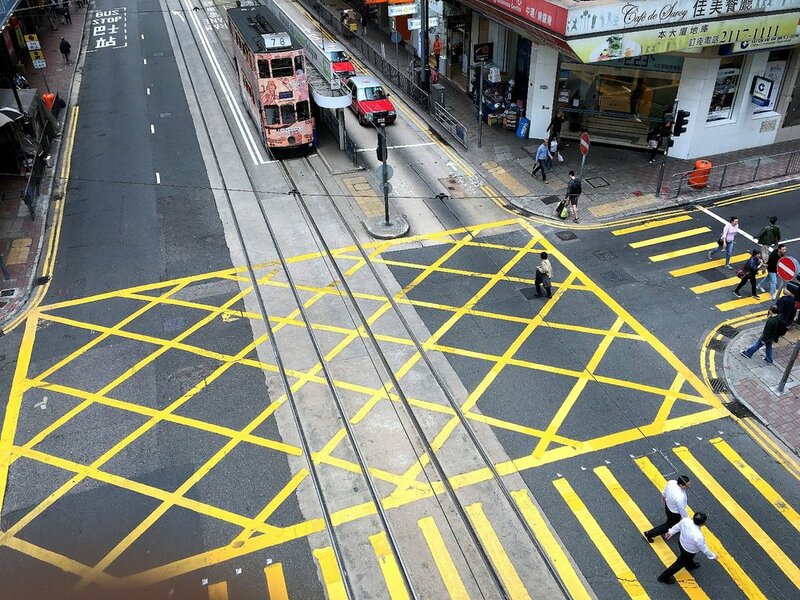 As part of the HKIP’s initiative to pedestrianize Des Voeux Road Central, a series of public engagement activities would be rolled out from late Feb to Mar 2016, as the "玩德節Let's Play in the Tak Festival", which would be hosted by Clean Air Network and Hong Kong Public Space Initiative. Let’s play in the Tak (the first Chinese name of "Des Voeux Road Central"), aims to re-connect the community to the street! HKIP members and friends are welcome to join and support the fun street activities. During the 玩德節 "Play in the Tak" festival, the street will be transformed into an experimental playground, where you are invited to play Jenga around the street corner, join a real-live gaming/walking tour on sidewalk, and discover the hidden gems in alleys and lanes to start an interesting conversation with strangers. Presented by Clean Air Network and Walk in Hong Kong, an exciting, interactive and inspirational gaming/walking tour is rolled out on Des Voeux Road Central. Part of Des Voeux Road Central, near Western Market, will be turned into a pop-up playground where one can play with others with the human-scale Jenga and Solitaire! A little grassland will also emerge on the street where you can enjoy some reading and people-watching time. No registration is required. Come whenever you want! Bi-City Biennale of Urbanism/Architecture (UABB) is being held at Kowloon Park & Hong Kong Heritage Discovery Centre from now to 28 FEB 2016. The DVRC Initiative is taking part in the exhibition with exhibit titled as “Breathing Life into the Public Realm: A Proposal to Pedestrianize Des Voeux Road Central”. The exhibition aims to raise public awareness on going beyond existing technocratic approach of planning, through the proposal of rezoning Central from a congested urban area with poor air quality, to a catalytic public space, in the form of pedestrian and tram precinct. University of Hong Kong and Columbia University GSAPP Studio-X has given great assistance to our involvement in this exhibition. Following the theme of the exhibition, students from HKU led by Dr Eric Schuldenfrei and Jeffrey Johnson will work with schoolchildren to create an idealized urban landscape out of moss and other living plants. Urban design and planning in Hong Kong are highly technocratic, driven in a large part by regulatory, bureaucratic and economic imperatives. Taking a current proposal to pedestrianise Des Voeux Road Central as a case study, this panel will discuss alternative approaches that might bring greater emphasis to quality of life, experience and innovation in the design of Hong Kong's public spaces.